Take a peek at new Account Dashboard! 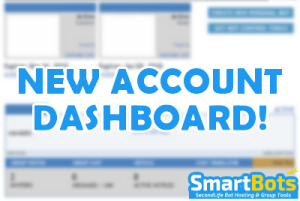 Try the new account dashboard today! We are eager to hear what you think about the new dashboard. To access it just login and click on the banner on the left. The system will remember which dashboard you are using (old or new) and switch to it the next time you login. You can also switch back to the old one if you wish.